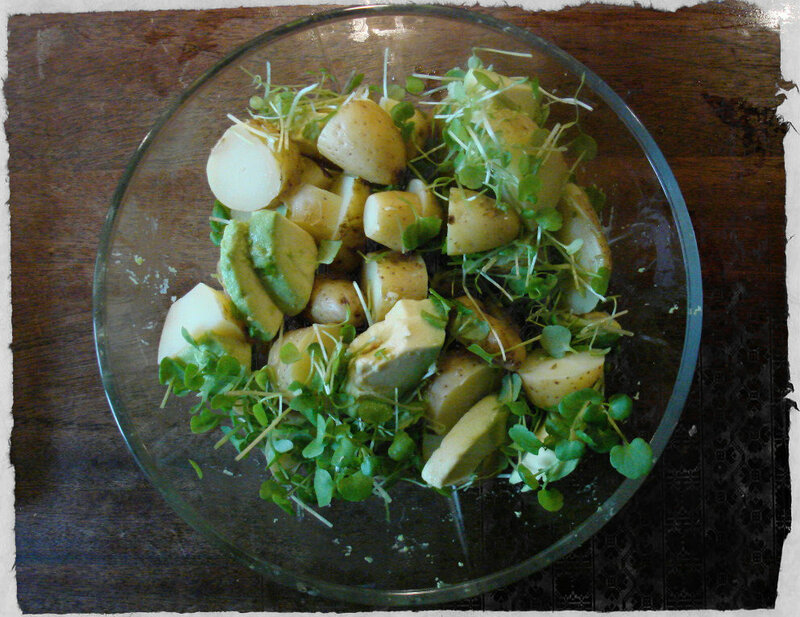 We had a small portion of potatoes left over in the fridge from the other night, so for dinner last night I also made a potato salad with avocado and watercress. 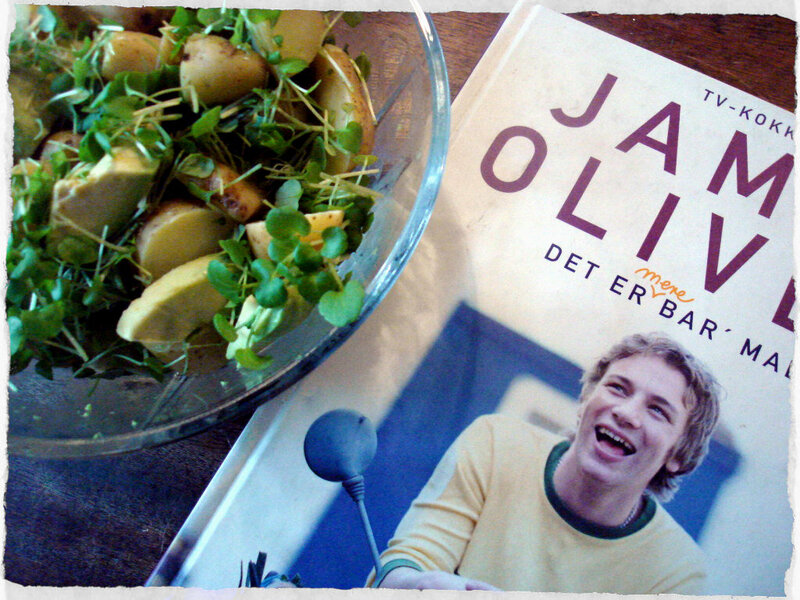 A recipe I have from one of my many Jamie Oliver cookbooks. It’s easy, tastes great and is fresh. 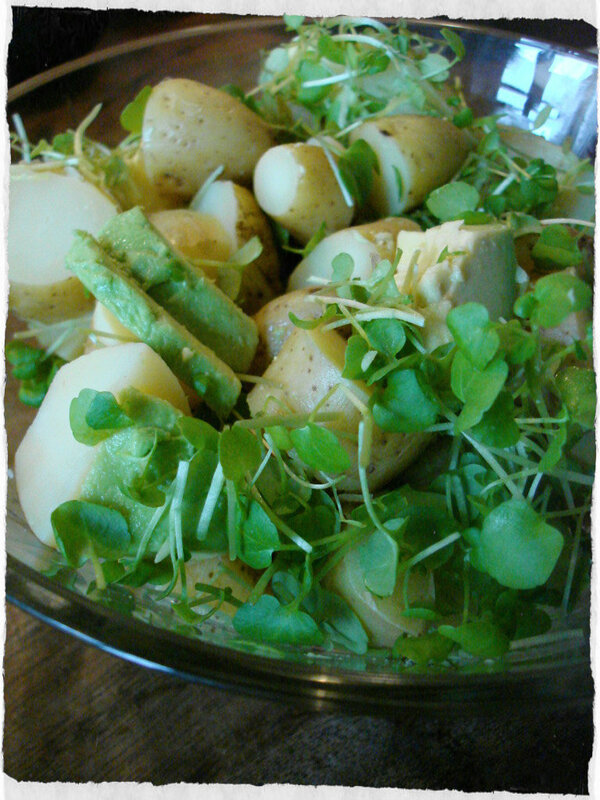 Approximately 400 g of potatoes, new potatoes are best for this recipe. Boil the potatoes, let them cool and cut them into bite-sized pieces. Cut the avocado into bite-sized pieces. Chop the watercress roughly. Add it all into a bowl. Make a marinade by mixing lemon juice, a good dash of olive oil, a little sea salt and pepper together in a small bowl, season to make sure its just as you like and pour over the potato salad.